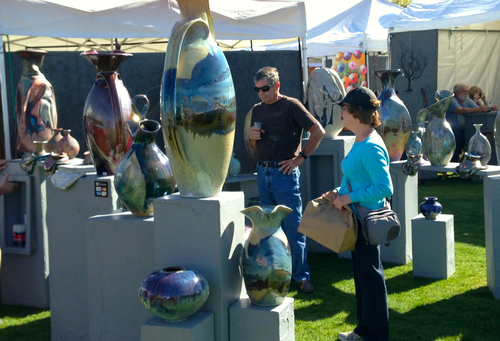 Thunderbird Artists is heading west again! West of Phoenix that is; to the City of Surprise! In 2005, Thunderbird Artists produced an extraordinary festival, set within 180 acres, on the Surprise Recreation Campus. 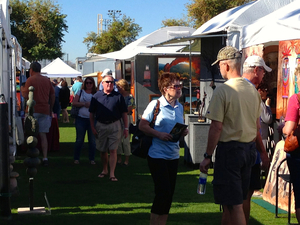 Back by popular demand, the City of Surprise and Thunderbird Artists are once again partnering for another spectacular Surprise Fine Art & Wine Festival. Surprise warrants a weekend stay for the whole family. Surprise Stadium is home for the Texas Rangers and Kansas City Royals ‘Spring Training’ and the Surprise Recreation Campus has a fishing lake, along with a 25 court Tennis & Racquet Complex. 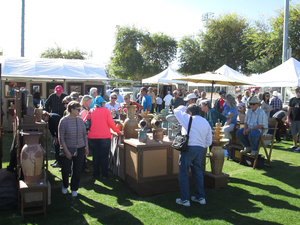 For more than 35 years, Thunderbird Artists has produced over 300 fine art events, attracting millions of patrons who share in our love and appreciation for fine art. Thunderbird Artists isn’t a job to our family; it is a passion that plays a central part in all of our lives. Our goal is to provide an outstanding variety of mediums, subject matters, sizes and price ranges that satisfy the desires of each and every patron that strolls through one of our festivals. We want people attending to find something that appeals to their liking and to walk away with special memories of a first class event.